A millisecond burst of light on a computer monitor signaled production of the first plasma in a powerful new device for advancing research into magnetic reconnection — a critical but little understood process that occurs throughout the universe. The first plasma, a milestone event signaling the beginning of research capabilities, was captured on camera on Sunday, March 5, at 8:13 p.m. at Jadwin Hall at Princeton University, and marked completion of the four-year construction of the device, the Facility for Laboratory Reconnection Experiment (FLARE). Magnetic reconnection, the breaking apart and explosive recombination of the magnetic field lines in hot plasma — the fourth state of matter composed of free electrons and atomic nuclei that makes up 99 percent of the visible universe — has impact throughout the cosmos. Reconnection gives rise to Northern Lights, solar eruptions and geomagnetic storms that can disrupt electrical networks and signal transmissions such as cell phone service. In laboratories where scientists are trying to create a "star on earth," the process can degrade and even disrupt fusion experiments. 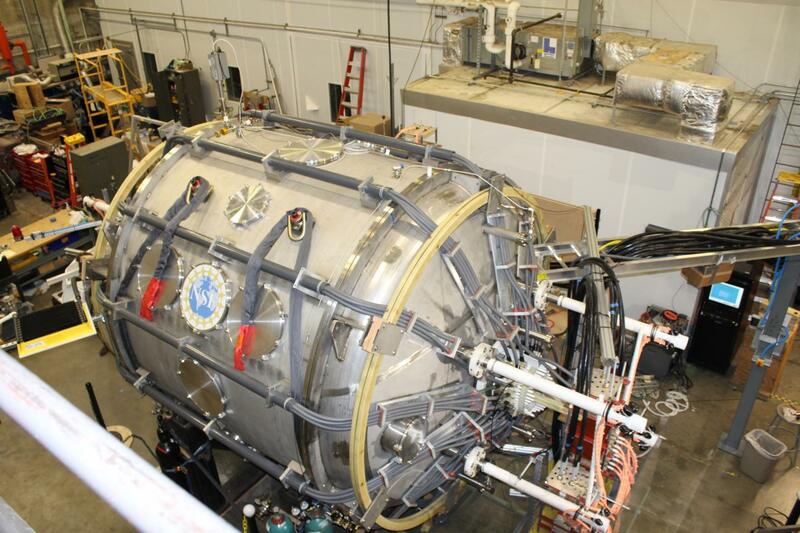 FLARE represents a more powerful version of the Magnetic Reconnection Experiment (MRX) at the U.S. Department of Energy's Princeton Plasma Physics Laboratory (PPPL). The new facility is twice the diameter of the sport utility vehicle-sized MRX and features significantly increased research capabilities. For example, measurements of the Lundquist number, a parameter critical to the study of the puzzlingly rapid rate of reconnection, will be an order of magnitude greater in FLARE than in MRX. Such capabilities "will enable a more faithful representation of the reconnection that occurs in nature throughout the universe," said Hantao Ji, a Princeton professor of astrophysical sciences and also a PPPL physicist, who is principal investigator for the construction project and is proposing the subsequent FLARE research. "We will have more access to the large-scale working of the process through laboratory experiments." Constructing FLARE, designed as a user facility for multiple institutions, was a team of physicists, engineers, designers, technicians and supporting staff for PPPL and Princeton, where the device was assembled. Support for construction of the project, whose future is being developed, came from the National Science Foundation with contributions from Princeton, the University of Maryland and the University of Madison-Wisconsin, with collaborators from Los Alamos National Laboratory, the University of California campuses at Berkeley and Los Angeles, and the Institute of Plasma Physics, Chinese Academy of Sciences.